Hello! 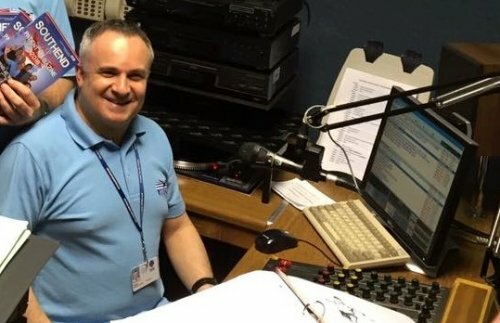 My name is Barry Shine or as I am simply known to my friends at the station Bazzy S.
I have now been a member of the station for over seven and half years. How the time has flown by! I have seen many changes since I first joined this wonderful station. During my time at Southend Hospital Radio, I have been part of the Thursday Night request show team. I also served on the committee for two years, looking after the PR and the fundraising for the station. I have presented my weekly Sunday Morning show between 10.00am – 12.00pm called the “Oldies But Goldies” show since October 2011. The format of the show is that it alternates between a golden ‘ year ‘ or ‘ era ‘ from the 1960s/70s/80s and 90s. The golden year will focus on major events in both the UK and the World during that year, together with events in music and of course music that entered the charts during the year in question. It has been a pleasure both to have met and got to know some wonderful people around the hospital, be it patients or members of staff from the wards. I always look forward to the Thursday night request team visiting the patients on the wards. If we as a team manage to bring a bit of pleasure and happiness to you by playing your song request then we are doing our job. My own personal music favourites are pretty diverse, Whitney Houston, Diana Ross, The Beatles, John Lennon, Bob Marley and The Rolling Stones. My main love of music is definitely the era of 60s, 70s and 80s. However, it always gives me a greater pleasure to receive a message from a patient in the hospital requesting to hear a favourite song of their own. Being able to then locate the requested song and ‘ play ‘ the request makes the job feel worthwhile. I hope that you enjoy our listening to the station during your stay in the hospital and wish you all a speedy recovery.